Our desire for a convenient energy source, the freedom of wireless connectivity and more portable electronic devices means our dependence on batteries continues to grow. In a Lucintel report it states that the global battery market is expected to reach $85bn by 2016. Disposable batteries (dry-cell batteries) can contain highly toxic heavy metals such as cadmium and mercury. When the battery casings corrode these heavy metals leak into the ground and contribute to soil and water pollution. In 2006 the European Union passed the Battery Directive which aims to increase the rate of battery recycling. Its aim for 2016 is to collect 45% of all used batteries recycle 50% of them. 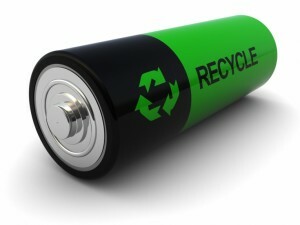 However, in 2009 Which magazine reported that half the UK population have never recycled a battery. Also data published in December 2012 by the European Battery Recycling Association (EBRA) has shown that in 2011, there was a 5 per cent fall in the number of all batteries recycled by its members. A disposable battery could be used as a secondary energy source for the energy harvesting circuit used with GCell to provide energy whilst recharging a primary rechargeable battery. Rechargeable batteries combine the advantages of a dry-cell battery but they can be reused simply by recharging. GCell can provide the electrical energy to reverse the chemical reactions that happened in the battery while it was in use to restore its capacity. 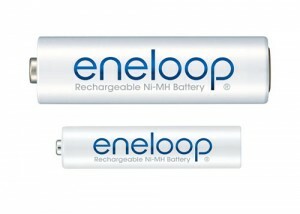 Some rechargeable batteries have up to 1800 charging cycles making them lower cost long term. Because batteries can be recharged and reused numerous times, they contribute less waste to landfills and in some cases contain less toxic materials. When pairing a rechargeable battery with GCell you have the potential for an autonomously powered system that can last the lifetime of the product and create a clean energy source. GCell also removed the hassle of manually recharging a battery. Supercapacitors Â and ultracapacitors are solid state devices that offer advantages over batteries in lifetime, power density and resilience to temperature changes. They also benefit from high immunity to shock and vibration. However, they can be high initial cost and provide low energy density. Ultracapacitors are a storage cell that provide quick, massive bursts of instant energy and can be found in a range of electronic devices, from computers to cars. Typically ultracapacitors can store only about 5 percent of the energy of a lithium-ion battery of the same size. However, they are environmentally friendly because they can be used for hundreds of thousands of cycles and contain low toxicity of materials. In some very low power applications it is possible to use GCell with a supercapacitor or an ultracapacitor to store and release a quick burst of instant energy. It is also possible to use the supercapacitor or ultracapacitor as a primary energy storage source and a rechargeable battery as a secondary energy storage component. For more information about energy harvesting and using of GCell indoors visitÂ Indoor Energy Harvesting.